Imagine this; two inspiring women who are both passionate about health and wellness, joining forces to bring you a weekend retreat that incorporates the perfect balance of yoga and fitness. We sat down with yoga instructor, Julia McCann and personal trainer, Candice Bodington, to hear all about their personal health journeys and what you can expect on their upcoming retreat! Julia McCann is a yoga instructor and founder of OneBreath Yoga. Since starting her yoga journey in 2013, she has transformed to become the healthiest version of herself. Her vision as a yoga instructor and retreat host, is to create a space where people are able to dive deep into understanding the self, whilst improving their physical health, wellness and overall inner peace. Julia's personal exercise program does not only consists of yoga, but includes a variety of cardio, sculpting and body weight training. This inspired her to bring an exciting addition to her yoga retreats. “I wanted to add a different element” said Julia, as she explained that by bringing body weight training and yoga together, women are able to fully indulge in the ultimate wellness weekend. “Spirituality is also present in the fitness world" says Julia, "Yoga and fitness are two sides of the same coin, they walk hand in hand!”. She went on to highlight the many mutual effects of fitness and yoga; including physical, mental, emotional and spiritual benefits. Julia immediately approached Candice, personal trainer and nutrition advisor, to collaborate on this fitness retreat. Candice instructs a variety of fitness classes and also runs her own initiative, CandiBod Fitclub. This Fitclub was created to bring women from all cultures, shapes and fitness levels together, not only to break a sweat, but to get a chance to network with the amazing women this city holds so close to her heart. Candice has created a supportive community of strong women who encourage each other to become the best version of themselves. “The idea seemed organic to me because I was already in that sphere”, says Candice as she explains how she often incorporates yoga postures into her fitness classes. By creating a platform where they combine the two, Julia and Candice hope to welcome a broader scope of ladies who are interested in exploring their own personal journeys. Candice will be leading educational talks about hormone balance, nutrition and gut health. Women who attend this retreat can expect to be actively involved in the conversation as you share experiences and learn from each other. There is no doubt that you will walk away from this retreat feeling motivated and inspired. . So why women only? 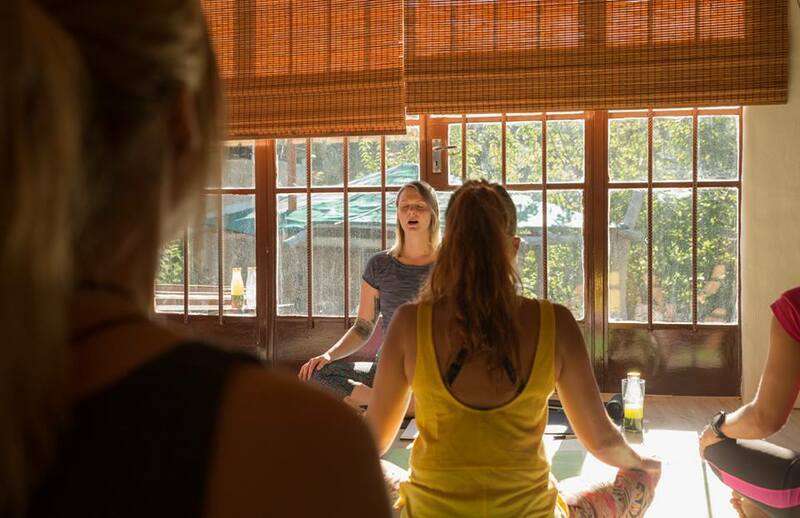 These retreats focus on elements that encourage women to break down personal walls and find their own sense of freedom; through yoga, meditation and training. “Seeing the emotional response of the women during the retreat” is one of Julia's highlights. 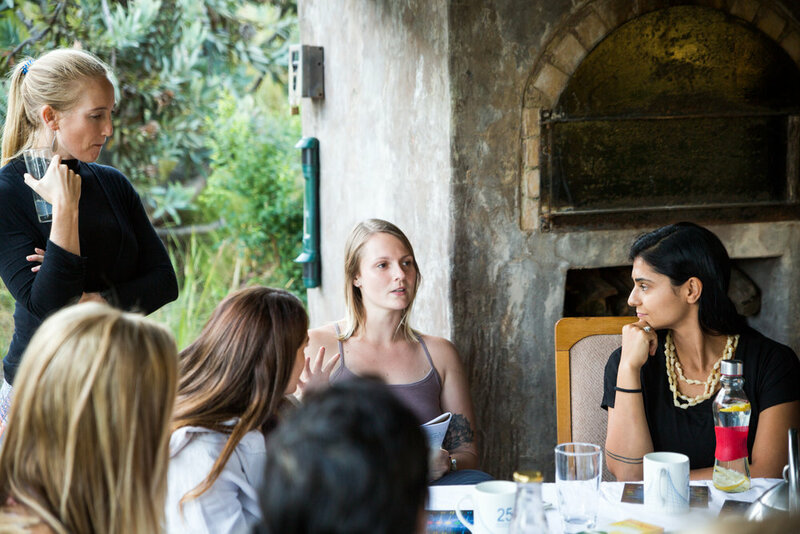 Being a transformational retreat, women are encouraged to come together, open up their mind and spirituality and connect with like minded beings. “We want it to be a replenishing, rejuvenating retreat” says Julia, as she explains that all are welcome, including beginners and those who are interested in starting their transformation. Other exciting highlights that you can look forward to include hearty and delicious vegetarian/ vegan meals, hikes, Thai Yoga massage, a sound journey healing experience, creative craft activities and goodies to take home with you! What you can expect, is a weekend that you will never forget. We can only hope that this is only the start of Yoga ft Fitness Retreats for these two fitness powerhouses. Read more about their upcoming retreat! To view Julia's yoga retreats later in the year, click here. To connect with Julia, visit her Instagram or head over to her website to book private yoga sessions / thai yoga massage! 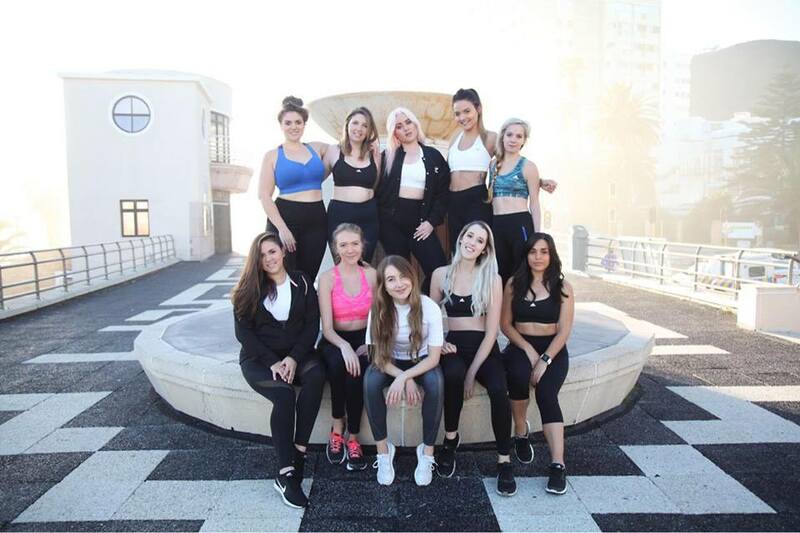 If you would like a taste of Candice's fitness program, join her BodFitClub training sessions at Workshop 17 in Cape Town every Thursday morning at 6am. Keep an eye out on her instagram as she is also excited to be launching her ebook later this year!